Marie Hayden, SHSU professor of library science, will be honored with a retirement reception on Tuesday (April 26), from 3 to 5 p.m. in Austin Hall. A program will begin at 3:20 p.m.
Hayden came to SHSU in 1970. During her tenure with the university, she has served in the university library as acquisitions and reference librarian, assistant to the director for special projects, and head of access services. In 1991, she was named professor of library science. In 2000, she was recognized by the university with the Excellence in Service Award. 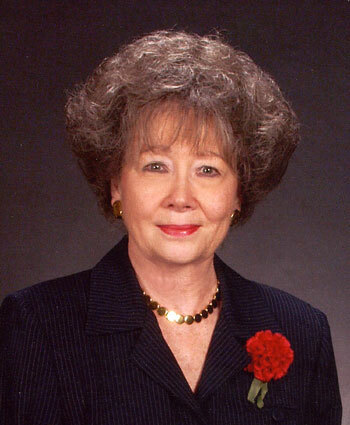 Her contributions to the university include serving as chair of the Faculty Senate and president of the board of directors of the SHSU Alumni Association. As president of the association, she presided over numerous meetings and special events, including the dedication of the Alumni Clock in the Alumni Gardens and the Distinguished Alumni Awards Gala. She also served on the Ring Committee that designed the official class ring for Sam Houston State University and participated in the first SHSU Ring Ceremony in 2004. Hayden also worked many years with the Texas Association of College Teachers as legislative liaison for the SHSU chapter, as its president twice, as state treasurer, and as regional vice president. She is also a member of local, state and national professional library organizations. She has served on SHSU presidential and vice-presidential search committees as well as many university scholarship and policy committees. Hayden has also been involved with organizations within the Huntsville community, including the Huntsville Study Club, Friends of the Huntsville Public Library, the Huntsville community Theatre, and the Huntsville-Walker County Chamber of Commerce. In addition to teaching classes on the SHSU campus, she also participated in a special Lower Rio Grande Valley teaching program that required her to travel 800 miles round-trip from Huntsville to Edinburg every week during a summer session, teaching classes to south Texas residents. She has traveled in North, South and Central America, Europe, Asia, Africa, the Middle East, Australia and New Zealand, visiting libraries and observing library organization and operation. In her retirement, Hayden said she will spend time with her two adult children, travel to the “few places that I haven’t (seen around the world),” and continue with the clubs and activities she is involved in around the Huntsville community. The military science department will host a retirement reception for Lt. Col. Alan Mooneyham on Monday (May 2), from 2-4 p.m. in Austin Hall. An awards presentation will also be held at 3 p.m. Serving in the military for 22 years and commissioned through the ROTC program as an undergraduate, Mooneyham has led the military science department since August 2001. Mooneyham said he is unsure of what he will do in his retirement from the university. “ I will likely teach high school junior ROTC in Texas,” he said. May graduates will be able to sign up for Alumni Association membership at a discounted price, while enjoying free hotdogs and sodas, on Thursday (April 28). Senior sign-up day will be held in the Lowman Student Center Mall Area from 10 a.m. to 2 p.m.
" Senior sign-up offers graduating seniors the opportunity to join the Alumni Association their first year at a discounted rate,” said Emily deMilliano, assistant director for Alumni Relations. “ Membership benefits include a subscription to the alumni newsletter, discounts on rental cars and merchandise, unique networking opportunities, invitations to local alumni events, and much more,” she said. In addition, the association will be playing music and will give away T-shirts to those who sign up. For more information, call 936.294.1841. Distinguished history professor James S. Olson will be the second speaker for SHSU’s “Forum At The Woodlands” speaker series on Tuesday (April 26). A reception will kick off the lecture at 5 p.m., and will be followed by Olson’s discussion of “Women, Cancer, and History” at 5:30 p.m. at The Woodlands Waterway Marriott Hotel. One of Olson’s two Pulitzer Prize nominated books, “Bathsheba’s Breast,” in which he discusses the history of breast cancer, received the 2003 Best Book Award in the History of Science category from the Association of American Publishers. In addition, the Los Angeles Times recently named the book one of America’s best non-fiction books for 2002. The book will be available to purchase at the event. The “Forum At The Woodlands” series kicked off last semester with a “Focus on Terrorism” discussion. The Woodlands Waterway Marriott Hotel is located at 1601 Lake Robbins Dr.
For more information, call the President’s Office at 936.294.3415. Entry deadline for the 11th Annual Faculty and Staff Golf Tournament on May 16 is 5 p.m. on May 11. Team check-in for the event will begin at 7 a.m., with a shotgun start at 8 a.m., at the Raven Nest Golf Club. Teams should consist of four SHSU faculty or staff members, or affiliates, and can consist of all men, all women, or a combination. Single entries will also be accepted. The entry fee is $40 per person, which includes the 18-hole green fee, 1/2 cart fee, a bucket of range balls, a “goodie” bag, soft drinks, lunch and special gifts. Individual and team awards will be given for first and second place, as well as awards for a putting contest, to be held between 7-7:30 a.m.; men’s and women’s longest drive; and closest to the pin. The winning team will also be given a traveling trophy for one year. In addition to the contests, grand prize drawing will be held for the opportunity to win a stay and play golf package from Waterwood National Resort, Houston Astros Tickets, G.B. Golf custom set of irons, or Raven Nest round of four. Entries may be mailed to the Recreational Sports Office, c/o Golf Tournament, Box 2387, or can be dropped off in Health and Kinesiology Center Room 104. For more information, contact Amy Swingle at 936.294.1967 or by e-mail at aswingle@shsu.edu. SHSU will recognize students, faculty, staff and student organizations for their outstanding leadership and service, both to the university and community, during the 11th annual Sammy Awards on Wednesday (April 27). The event will be held in the Lowman Student Center Ballroom. Approximately 20 different awards will be given out this year from nominations received earlier in the semester. Emceeing the semi-formal ceremony will be students Shannon Stuckey, Sheena Moon and Shaundrika Easley. Tickets are available through April 27 and can be obtained with a university ID at the Student Activities Office, in LSC Room 331. Mack Hines, assistant professor at the University of Arkansas-Monticello, will be the guest speaker at two brown bag presentations, on Wednesday (April 27) and again on Thursday (April 28). Both presentations will be held from 11:30 a.m. to 12:30 p.m. in Teacher Education Center Room 319. On Wednesday, Hines will discuss “And Justice for All: Using the Educational Administration Dissertation to Inspire a Just and Democratic Society,” a study that explores “educational administration degree recipients’ uses of their dissertations to treat issues in a manner that inspires just and democratic societies within their chosen fields of study,” Hines said. Hines received his doctorate from South Carolina State University, and will join SHSU’s educational leadership and counseling department faculty as an assistant professor in fall. He has served public schools as a teacher and a middle school administrator. The presentations are open to all faculty members, as well as the university community. Students looking for a part-time job will be able to interview for a variety of positions within the Department of Recreational Sports on Tuesday (April 26). The Rec Sports job fair will be held from 2-8 p.m. in the Health and Kinesiology Center’s Multipurpose Room. With the HKC expansion, positions will be available in the following areas: weight room assistants, group fitness instructors, lifeguards, personal trainers, rock wall assistants, outdoor recreation staff, facilities staff, coliseum staff, office assistants and intramural sports. Those interested should come “prepared and dressed to interview,” according to assistant director of wellness programs Tina DeAses. For more information, call DeAses at 936.294.1985 or stop by HKC Room 104. The School of Music will showcase the best of the best with an honors recital on Tuesday (April 26). The concert will be held at 7:30 p.m. in the Recital Hall. Awards and scholarship winners will also be presented at the concert. Admission is free. On Wednesday (April 27), area percussion coordinator John Best and the SHSU Percussion Ensemble Concert will perform a pieces from variety of composers and styles, using a variety of instruments, at 7:30 p.m. in the Recital Hall. Students who will perform include Joe Beam, Jamie Broussard, Dan Burkeen, Chris Cargill, Sarah Santa Cruz, Ben Guillotte, Scott Highscmith, Douyg Maake, Malory Picard, Tiffani Reynolds and Tamara Williams. Admission for this concert is also free. On Saturday (April 30), the SHSU Wind Ensemble will perform their final concert of the year at 7:30 p.m. at the Mance Park Middle School Auditorium. The 54-member ensemble will perform works by Giovanni Gabrieli, Donald Grantham, Luigi Zaninelli and Frank Ticheli. For more information contact the School of Music at 936.294.1360. The Outdoor Recreation division of Recreational Sports will give participants a “true outdoor adventure weekend” with a climbing and biking at Reimers Ranch trip April 30 through May 1. The cost for the camping trip on Lake Travis is $65 for students, $70 for faculty and staff and $75 for guests, which includes transportation, four meals, climbing and camping fees, bike rental and more. The sign-up deadline and pre-trip meeting is April 28 at 5 p.m. in Health and Kinesiology Center Room 104. For more information on the Outdoor Skills Series, call 936.294.1778. The Program Council’s Hispanic Heritage Committee will celebrate Saint George, the patron saint of the six million inhabitants of Catalonia, Spain, with “El Dia de Saint Jordi—The Day of Lovers,” on Monday (April 25). Catalonia is one of the 17 regions that make up Spain, of which Barcelona is the capital. 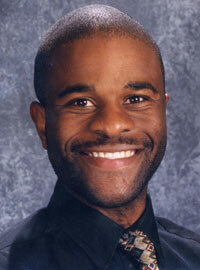 “ He was a very romantic and chivalrous guy,” said the PC’s vice president for public relations Jeffery Oribhabor. For more information, call 936.294.1763. 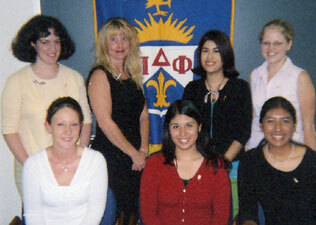 2005 Pi Delta Phi inductees include (back row, left to right): Cecile Stubbs, Dianne Burke, Leiza Francia, and Jessica Rigby. Club officers inlcude (front row, from left): Brandi Moore, secretary; Mayra Sanchez, vice president; and Leslie Mayen, president. Four students and a professor were recently inducted into SHSU’s Eta Iota chapter of Pi Delta Phi, the National French Honor Society. Senior French major Dianne O’Ruth Burke, criminal justice major and French minor Leiza Francia, freshman French and English major Jessica Leigh Rigby and senior French major Cecile Maud Stubbs were all inducted on April 11 in recognition of their academic achievement in at least one semester of upper division French with a minimum GPA of 3.00 in French. SHSU German professor Yasser Derwiche Djazaerly was also initiated into the group in absentia. Djazaerly is currently completing a second doctorate in French at Stanford University. Following the ceremony, in the Evans Complex’s Foreign Languages Seminar Room, a dinner was held at Floyd’s Romani’s Restaurant.